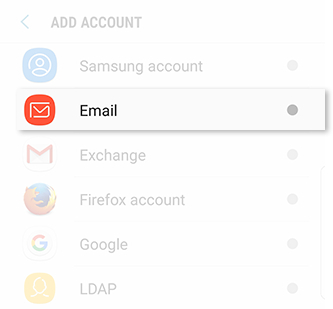 Galaxy Note8: How do I add an Email account to my Samsung Galaxy Note8 (SM-N950W)? By adding your Email account, you gain access to various services, as well as additional back up and synchronization options. 7 The sign in screen will appear. To complete the process, enter your email account login information and follow the on-screen instructions. Note: Depending on your email provider, you may be required to manually give access to the app on your phone. If necessary, to allow the use of the app, sign into your account via Internet, and then turn on the access.